PRI’s Interventional Services has been a local leader in quality and service for many years. Developing and growing a strong Interventional Service comes from the strength of the interventional radiologist and the establishment of relationships with referring physicians. This requires maintaining an on-site interventionist that is able to consult with referring physicians and provide the wide-range of desired procedures. Being available to patient needs 24/7 has established PRI's interventional services as a local leader in quality for many years. We take pride in the reputation that we have earned. Our service line and patient care support team had promoted a trusting bond with our patients and referring physicians. This communication guides them through the process of interventional image-guided procedures. Because of this commitment, our patients are better prepared and more at ease when undergoing such interventional procedures by our clinical staff. 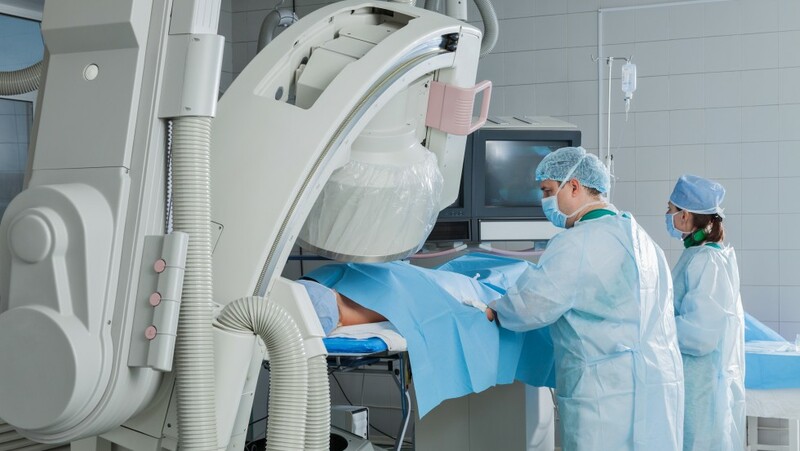 PRI's interventional radiology has led the city in the development and promotion of the treatment of uterine fibroids, providing uterine artery embolization since 1999. Our interventional specialists also have the most experience in our region in the treatment of pelvic hypertension/congestion by gonadal vein embolization. Pelvic hypertension/congestion can be a frequent cause of pelvic pain in women. Our vein treatment specialists are pioneers in the treatment of varicose veins. They stand out as a group concerned with the health of patients, as well as obtaining the best possible cosmetic results without surgery. These well trained physicians have over 20 years experience treating patients with non-surgical, minimally invasive procedures. Their experience and training provides them with the precision necessary to obtain excellent results. Additionally, PRI's Interventional Service was the first in the Tristate area to perform radiofrequency ablation and cryoablation of renal cell cancers, in cooperation with urologists. PRI continues to do the highest volume of cryoablations of renal cell cancers in the region. PRI was the first in the Tristate area to perform life-saving mechanical thrombectomy for pulmonary embolus. PRI also performs pulmonary artery thrombolysis for pulmonary embolus. PRI also performs a large number of renal interventional proceduresl. These include CO2 arteriography, angioplasty, transplant artery stent placement and percutaneous stent placement. In addition, dialysis graft maintenance with angioplasty and thrombectomy is also an area of expertise, as is placement of tunneled catheters for dialysis. Other common procedures done by PRI include port placement for chemotherapy, radiofrequency ablation for liver tumors, chemoembolization of tumors, and transjugular intrahepatic portosystemic shunts for portal hypertension. See our Interventional FAQs for more information.